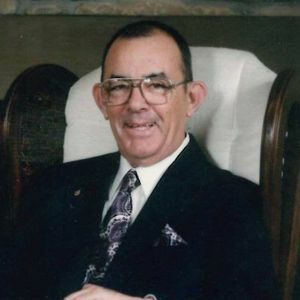 Ralph D. Easterday, 84, of Greenwood, IN, passed away on Sunday, April 7, 2019 at Otterbein Franklin SeniorLife Community. Ralph was born on June 29, 1934 in Indianapolis, IN to Arthur L. and Georgia Marie Easterday. Ralph graduated from Warren Central in 1954. On August 30, 1963, he married the love of his life, Linda Sue Ralstin Easterday, who survives. He worked as a Printing Pressman for many years at Rough Notes Publishing and Shirley Engraving. Ralph was also a member of Southland Community Church in Greenwood. Survivors include his wife, Linda; one son, Alan D. Easterday of Greenfield; one daughter, Debra L. Williams (Parrish) of New Palestine; and several nieces. Ralph was preceded in death by his parents, one brother, Arthur L. Easterday, Jr. and one sister, Marian Lucille Madison. A celebration of life service is scheduled for Thursday, April 11 at 1:00 PM at Southland Community Church 5800 Smith Valley Road, Greenwood. The family will receive guests from 11:00 AM until the time of service at 1PM. Burial will be private. In lieu of flowers, memorial contributions can be made to Southland Community Church. Wilson St. Pierre Funeral Service and Crematory, Greenwood Chapel, has been entrusted with arrangements. Add your thoughts, prayers or a condolence to Ralph 's guestbook.